Horticulture Australia Limited has introduced a Leadership training program for current and emerging leaders within Horticulture. This program is funded from the Across Industry funds and will be run by Strategic Business Development Pty Ltd. The training will be a mix of face to face, group and online sessions. Applications were called from all Horticulture Industries and there were over 90 applicants. The Nursery Industry has fared very well in the selection process with the following individuals selected to partake in the program. 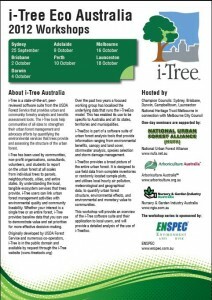 The National Urban Forest Alliance (NUFA) is supporting one day i-TreeECO Australia training seminars in all capital cities. The seminars are designed to provide participants with an overview of the i-Tree ECO software and its application. 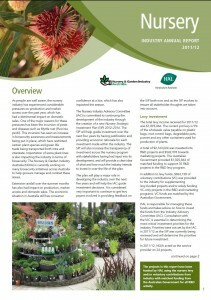 NGIA is a Platinum Partner of the NUFA which was recently formed to promote the growth and recognition of the urban forests in Australian cities and regional centres. i-TreeEco is part of a software suite of urban forest analysis tools (referred to as i-Tree) that provides information ranging from environmental benefits, canopy and land cover, stormwater analysis, species selection and storm damage management. It is designed to use field data from complete inventories or randomly located sample plots to quantify urban forest structure, environmental effects, and environmental and monetary value to communities. The message of ‘More Trees Please’ is being taken across Australia at events for stakeholders, industry, consumers and the media. 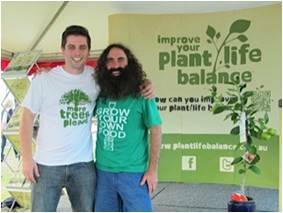 The portable display promoting this year’s theme of ‘More Trees Please’ and the overall marketing strategy of ‘Improve Your Plant/Life Balance’ has already been seen by thousands of Australians including key stakeholders so far this year with more events planned. The new Your Levy at Work website has been created as a means to distribute information and news on levy funded programs directly to stakeholders. The site allows for 24/7, ‘real-time’ access and sharing of levy information whilst also generating a monthly email of recent posts to all those subscribed to receive it. You will receive a monthly email of recent posts by either signing up directly (http://eepurl.com/hPZvI) , or as a previous subscriber to ‘NGIA Clippings’ which has now been super-seeded by this e-news publication. Regular updates will also be posted to the NGI Facebook and Twitter accounts.